eBook retailers like Amazon have been renting ebooks since forever, but until this week they only rented digital textbooks. 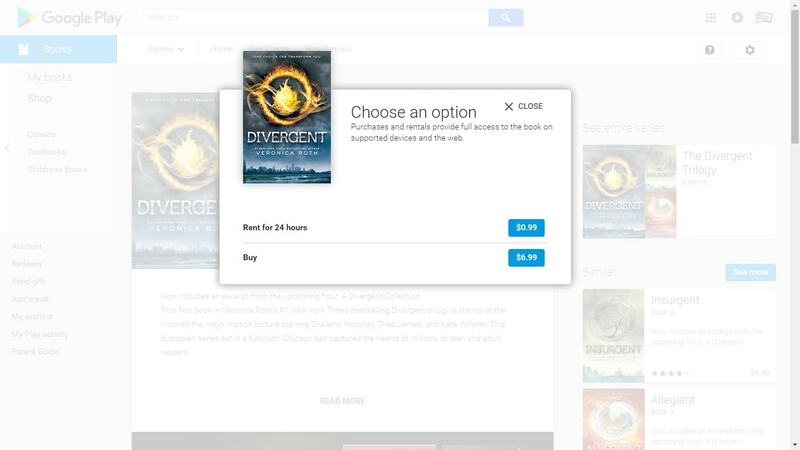 HarperCollins launched a special sale in Google Play Books yesterday. They're offering a selection of YA titles like Divergent, Asylum, and I am Number Four. Dystopian futures, forbidden loves, super-powered aliens, and dark secrets. Whatever world you love to get lost in, we make it easy with a special 99¢ rentals offer on great reads now through December 22nd. Explore top sellers, movie and TV tie-ins, and first in series with 24-hour rentals on the Best of Harper Young Adult. The rental period begins at the time of purchase, and can be accessed in your library for the next 24-hours, so dive in and discover your next favorite. The sale includes 29 titles, and runs through the 22nd. In some cases the rental isn't worth it; some titles, including Peaches, are renting for a buck and selling for $5. But even with the more expensive titles,does this sale really represent a good value? Aren't the books a reader is mostly to finish in a day also the books they will most likely want to read again and again? I know that is true for me; how about you? I wonder how good the DRM is on the rental versions. Some people might “rent” the books and then proceed to strip the DRM and to keep the books forever. 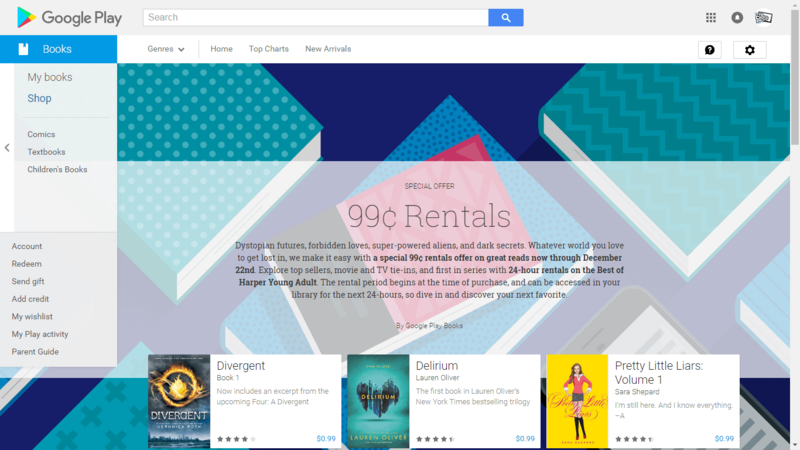 I see this as a trial balloon by the publisher, to see if there is any interest in a book rental ONLY environment. Publishers would probably be quite happy to rent you their books over and over, instead of “selling” them to you once. Of course, “selling” isn’t really the correct word, since readers are buying a license to access a book, but not the book itself. The DRM is probably the same as before – Adobe does support library checkouts, and that would use the same expiring access. tech. This could get pricey. I imagine there’s some sort of Red-Box-like renew option to keep reading for a buck each day if you don’t finish on day one. Good point; I’m going to test this and see what happens.